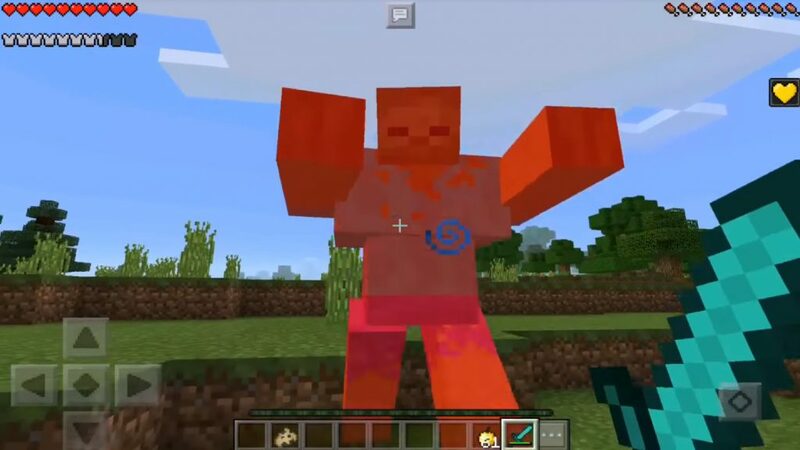 Mod Mutant Creatures turns 18 mobs in the world of Minecraft PE into mutants with incredible power. Not only their attack power is changing, but also their appearance, which makes most MCPE mobs much worse. If you are looking for a supplement that will complicate your gameplay in Minecraft Pocket Edition, then this is a great option for you! 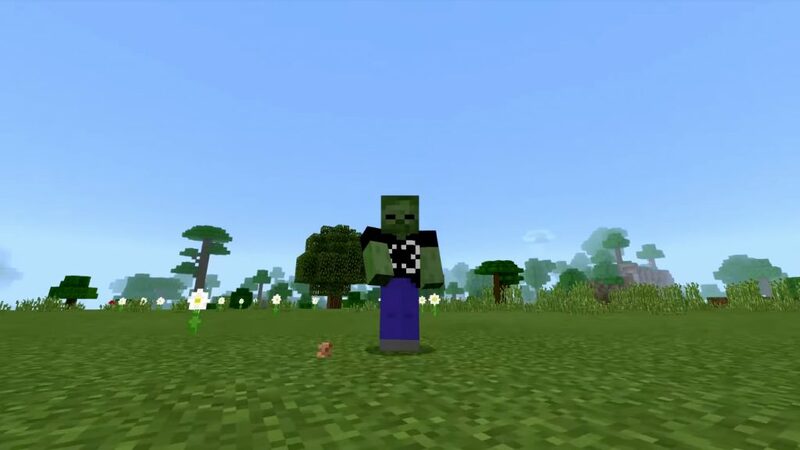 Now in Minecraft Pocket Edition some mobs are replaced by mutants. This means that survival in the world of your favorite game will be complicated, because each mutant is much stronger than its predecessor. All mutants, without exception, are immune from falling and rebound. After death, they are able to lose their head, which the MCPE player can pick up. Zombie Mutant and Cadavre: This is basically an enhanced version of the regular zombie. His body is much larger, which has a positive effect on his ability to attack, the mutant also has greater speed. Mutant creeper: It has four legs and a crooked neck, which makes it look like a spider, and as a result, the mutant looks much more frightening. In addition, he has the ability to cause big explosions, but it takes him a sufficient amount of time, so you will have a chance to escape. As soon as the mutant’s health falls, it immediately explodes. Previously, this mutant was afraid of orelots of the world of Minecraft PE, but now everything has changed: on the contrary, he will attack them. 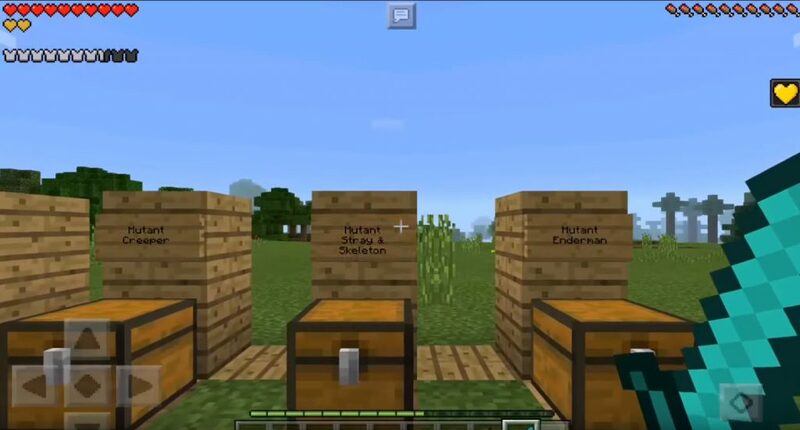 Mutant Zimogora and the Skeleton: Now in the world of the MCPE, they are skilled archers, as they are able to simultaneously release 5 arrows. These mutants prey on players and wolves. Even after death, they will not throw away the bow. Skeleton-Searcher Mutant: The Searcher has never looked so terrifying. The mutant has a fairly dense bone structure, and in its arsenal has a huge sword. Now he is not afraid of wolves, and after death does not drop his sword. Edge wanderer mutant: He has a tall and slim body, and moves much faster than most mobs. Mutan is very dangerous, as he has the ability to detect you faster than anyone, and also cause more damage. Iron Golem Mutant: This is the strongest mutant, and you really want to make friends with him, and someday he will help you. Fight with any of the other mutants. He has much more weapons than the regular iron golem. After death, iron bars and blocks fall out of it, as well as flowers. Health: 200 hearts, Attack Damage: 45-55 units. Mutant of the common and cave spider: Despite their large size, they can work much faster and cause more damage than their forerunners. Health: 75 hearts, Attack Damage: 10 units. Mutant zombie pigman: Neutral mob, attacking only for protection purposes. After death, he will fall out of a pile of gold bars and nuggets, as well as rotten flesh. Mutant of the Searcher: It is almost impossible to avoid the wrath of this mutant. He has an enormous amount of health, so it is difficult to kill him. But if you managed to do it, then after death a skull, a star of the Edge and a pile of diamonds will fall out of it. Snow Golem Mutant: A mutant is much more powerful than a simple snow golem. His special ability is the snow block, which allows him to throw huge chunks of snow at his targets for a maximum distance of 40 blocks. Ocelot Mutant: In size, a mutant looks much larger than its predecessor. You can use it for riding. Everything works in the same way as riding a horse, plus he is capable of jumping. Wild mob health: 25 hearts. Health tamed mob: 57.5 hearts. Country Mutant: Villagers are still friendly and will not even attack you if you harm them. Mutants are much stronger, and as a result, can withstand more damage. You can trade with them as usual. They attack only zombies and witches. Witch Mutant: Now the witch has a new type of potion that the mob throws at its enemies. The mutant also has the ability to attack melee (damage from attack: 10 units). After death, a lot of treasure will fall out of it. Mutant Wolf: Now the wolf of the world of Minecraft PE is a little bigger and stronger than before. You can ride a wolf on horseback, and he can even jump over obstacles. Wild mob health: 30 hearts. Health tamed mob: 62.5 hearts. Mutant of an Infected Countryman: A mutant can be cured by using a golden apple and a weak potion. The process will take 50 seconds and the mob will again become an ordinary villager. Summoner’s Mutant: He is able to summon a mutant of the disrupter. Drop: emeralds and totems. Advocate Mutant: He has more power than a regular champion. And also has valuable firewood, in the form of diamonds and emeralds. Mutant plagueman: he has much more health than a regular mob. And also he is able to inflict significant damage from the attack. The easiest way to fall asleep is to find a mutant caller. Health: 50 hearts, Attack Damage: 18 units. Mutant Mobs with Armor will now spawn more often.